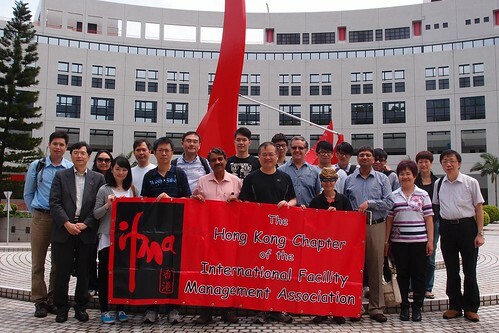 *integrate|2013 Facility Management Conference, the representative annual event of International Facility Management Association IFMA, was successfully held on Thursday, May 9 in the Hong Kong Convention and Exhibition Center. Carrying on the preceding success of IFMA Integrate held at Build4Asia 2012, this year, Integrate delegates would had access to the co-located three-floors HOFEX for the leading food and hospitality trade exhibition. *integrate|2013 conference attracted nearly 200 delegates from Hong Kong and regions as far as Nigeria, Africa, India, Singapore, Beijing, United States and Macau. All Integrate delegates had a fruitful and enjoyable day and that there is a plenty for us to get our teeth into as a result of various presentation and discuss for the new ideas on FM Excellences and FM in Hospitality Industry. To continue the joyful time of the event, we had the IFMA 21st Anniversary Annual Diner in Happy Valley Racestands, Hong Kong Jockey Club right after the conference. Beyond doubt, the conference provided us a useful platform to exchange information, idea, experience and lesson learned in Facility Management. And the splendid dinner event delighted our guests and delegates from various different backgrounds to meet and mingle with professionals within the FM community. Linked with *integrate|2013, IFMA has also provided free admission of various activities to the conference delegates. 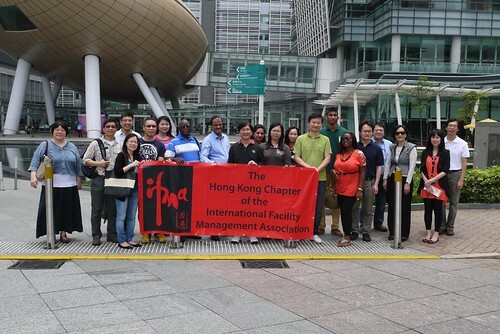 Besides pre-conference activity of tour visit of Macao Science Center & the House of Dancing Water Theater backstage on March 11 and FM Credentials Workshop on May 10 and Facility Tours conducting a facilities walk for The Hong Kong University of Science and Technology and Hong Kong Science & Technology Parks on May 11, 2013 allowed the participants to establish credibility, expand their skill set, benchmark FM best practice and meet new friends within FM profession as well. Heartfelt thank you should expressed for the sharing of the delegates in the conference, the encouragement of sponsors and supporting organizations of *integrate|2013 , and the participation of the professionals in various facility tours and workshop. Without all these supports it would not have been such a successful *integrate|2013. And more important, special thanks to the effort and contribution of the voluntary conference committee and IFMA conference administrators who worked so hard in making the event such a success and flow so smoothly. We look forward to seeing you at the next conference, World Workplace Asia in 2014!